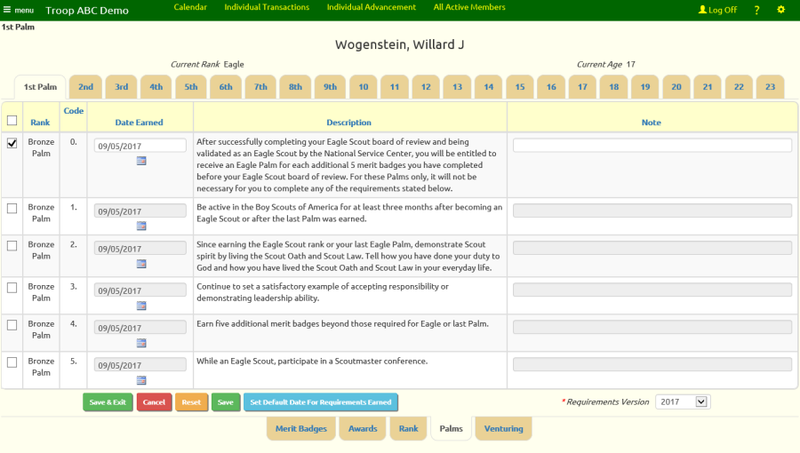 The recent change to the requirements for Eagle Palms means that your more ambitious scouts could be earning a lot more palms in the future. We responded by expanding our Palms page to include tabs for all 23 palms. 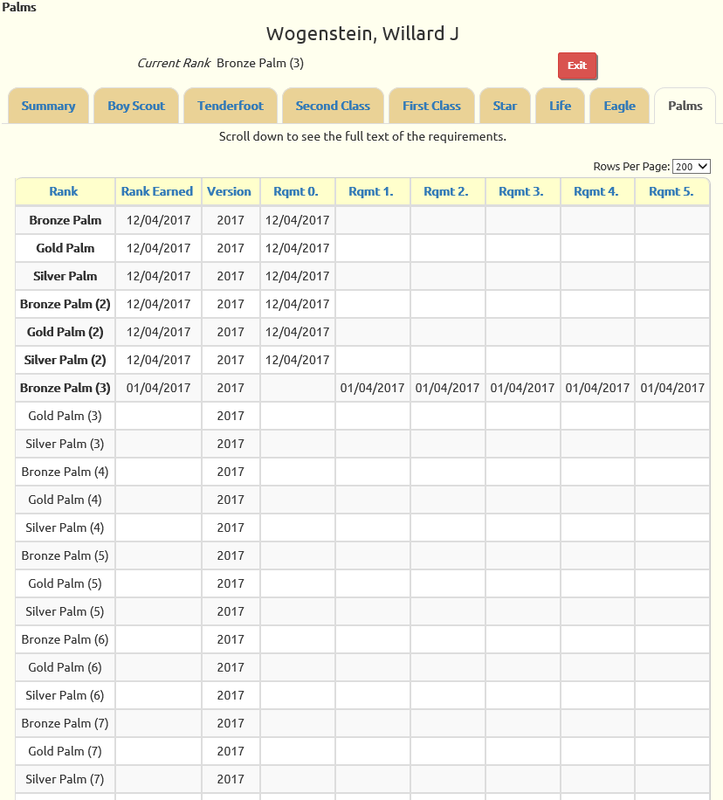 Parents and Scouts will now see a Palms tab on the Ranks page where they can view the status of all of their palms on one page. Boy Scouts now have community service reports like the ones we added for Cub Scouts and Girl Scouts last month. The only difference is that these new reports show both community service and conservation service hours. The Forms & Documents page for Cub Scouts and Girl Scouts previously only allowed you to limit access to all members of the group. There was no option to limit access to adult leaders, as the Boy Scout sites have had. This month we added the ability to limit access by dynamic subgroup, which provides even more flexibility. If you limit access to a dynamic subgroup, only members of that group will see that item on the Forms & Documents page. Cub Scouts and Girl Scouts now have access to two inventory reports which were ported from the Boy Scout site. One shows all inventory (as shown below) and the other only shows items that are currently checked out.